The City has decided to reduce the size of the future drinking water reservoir so that Extraction’s proposed pipelines can be placed south of the Northwest Parkway instead of next to Anthem Ranch. To learn more, please attend the Pubic Meeting of the Oil and Gas Update Committee on July 20, 2017, at 6 pm at the Paul Derda Recreation Center. 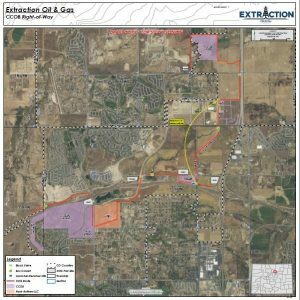 Extraction unveiled their plan for the new three-pipe project that would carry oil, gas and produced water from multiple pads in Broomfield to a site in Weld county and CCOB Council held a study session on June 20 to begin to study it. (See the CCOB prep document Study Session Pipelines June 16 ) The plan is to begin laying pipeline in 2018 and complete construction in late 2018 in order to begin production in 2019. As mentioned in the Broomfield Enterprise article, “Extraction details plans for Broomfield pipeline routes, safety precautions,” the water that is mixed with chemicals and used to fracture the ground where oil and gas reserves exist comes back out of the well to be disposed. This water can either be stored in a tank and trucked away, or it can be transferred to a pipeline and carried away to a disposal site. In the Tuesday night study session, Eric Jacobsen, senior vice-president of operations at Extraction, said that Extraction would pipe the water to a central facility in Weld County for possible recycling and reusing purposes, and dispose of the remainder in injection wells.The recycled water may be used in Broomfield or elsewhere. This system of piping the oil, gas, and water is called a closed-loop system, and it has been repeatedly characterized by Extraction as a safer, more environmentally friendly alternative to trucking these materials. Broomfield has been told that the closed-loop system will contain 98% of the hazardous emissions. Advocates against this kind of industrial oil and gas operation in neighborhoods point to the large amount of hazardous emissions, often called VOCs, that are released during a part of the process called “flowback”. It’s estimated that while the total emissions may be 98% contained, the amount of VOCs released during flowback, especially with the sheer number of wells on each pad so close to schools and homes, may not have time to dissipate, and these VOCs may cause health and environmental problems for the community. Councilman Kevin Kreeger brought up concerns about the integrity of the pipeline against corrosion. Jacobsen answered that only the highest designation of pipe grade would be used for this project. Councilwoman Sharon Tessier requested information on the maximum flow-rate and a description of a worst case scenario in case of an accident. Special Counsel Tami Yellico said that CCOB had hired Charles Taylor Risk Consultants to advise on this and other matters. Since the pipeline would need to cross Broomfield right-of-way in its proposed path, Extraction is requesting easements from CCOB. This path also includes Broomfield Open Space. Since the Broomfield Charter restricts changes in the use of Open Space, any exception must be reviewed by the city and, if approved, just compensation may be demanded by the city from the developer. Also, the water used for hydraulic fracturing will be coming from outside of Broomfield in through a temporary, above ground pipeline. Extraction has not made any requests yet for easements for that.  In their comments, both Councilman Kreeger and Mayor Ahrens expressed their concerns that the whole pipeline discussion was premature since the continuing work of the Oil and Gas Comprehensive Plan Update Committee may change pipeline alignments. The Committee is completing an alternative site analysis and reviewing siting of pipelines. The great curiosity was that the western end of the pipeline enters Broomfield through nearby Boulder County. It indicates that Extraction might be planning for the pipeline to bring in products from future developments in Boulder County. Councilman Kreeger asked Extraction that, if there were such a hookup from Boulder County, if the volume would be too much for their proposed pipes. Extraction replied no. Writing City Council members to voice your questions and concerns. Click here for a letter writing contact list. Also, save the date for the upcoming Community Forum. The Update Committee will hold a Community Forum to discuss the progress they have made to date and obtain community feedback. Please save the new date: Thursday, July 20, 2017, at 6 pm at the Paul Derda Recreation Center. Carpools are encouraged. This is an event that everyone is encouraged to attend.